Bob Nalbandian could be viewed as an unsung hero when it comes to the world of hard rock and metal. While others love to be dead center and become the focus of an interview, or of a documentary, Bob has always let his guests or the subject that is being covered take over and become the focal point of everything he does. He could easily sit there and say “hey I knew Metallica, Slayer, Megadeth, Armored Saint, etc. before everyone else”. But that’s just not his style, he’s been one of the biggest proponents for these genres of music we love, whether you know it or not. 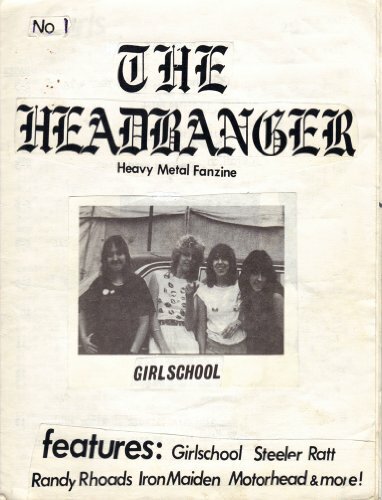 He started out back in the early 80s with one of the first fanzines dedicated heavy metal called The Headbanger. Over the years he’s done pretty much everything, worked behind the scenes for Roadrunner Records, has been one of the driving forces behind Hardradio.com, is a documentarian, releasing the Inside Metal series, and most recently Band Vs. Brand. But most will probably know him from hosting the podcast Shockwaves Skullsessions. Although the show has been around for over a decade, these last few years it was kind of dormant, taking a back seat to his other projects, only releasing a hand full of episodes per year. Until now, I am pleased to announce that Bob has relaunched the podcast, releasing the first five episodes earlier this month. You can currently subscribe to the show on the following platforms Spotify, YouTube, Spreaker, and from what I’m told they’re sorting things out so that the revamped version of the show will become available on iTunes. That said, no need to wait, as you can manually add the RSS feed to iTunes, or any other podcasting app. Listen to “Episode1- SKULLSESSIONS IS BACK! !” on Spreaker. Listen to “Episode 2-Pat Scott” on Spreaker. Listen to “Episode 3- Monte Conner/Martin Popoff” on Spreaker. Listen to “Episode 4- Pat Scott/Mike Murray” on Spreaker. Listen to “Episode 5- Howie Abrams/Ian Christe” on Spreaker.